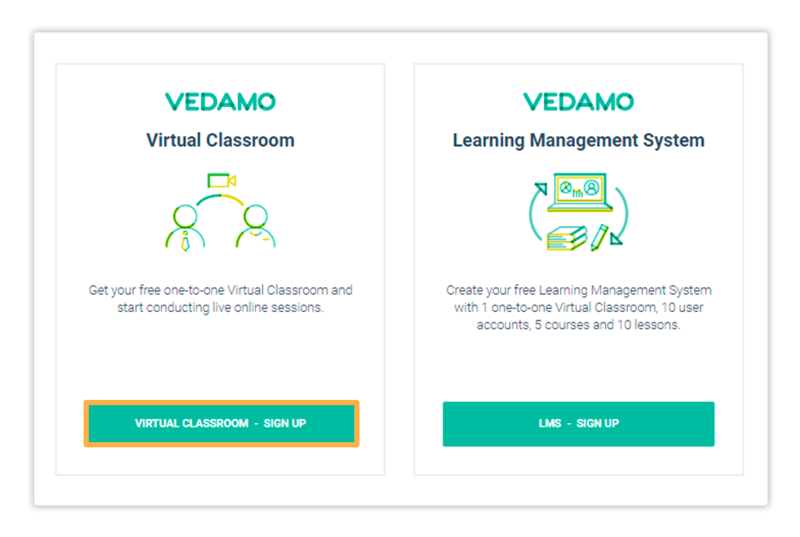 The VEDAMO virtual classroom – Start for free subscription comes automatically with registering your account. The free virtual classroom lets you conduct one on one sessions with a student. The Free Trial version will expire within 30 days of registration. 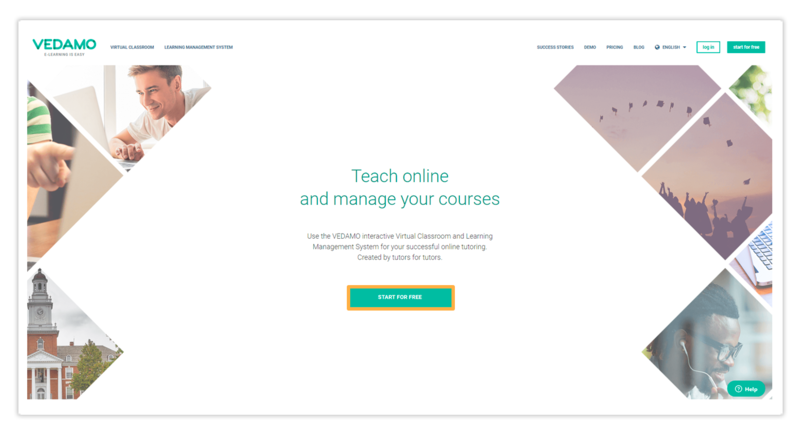 In order to complete your free Virtual Classroom, please click on the Vedamo Virtual Classroom – Start for Free button on the top right corner of your window or the one in the center of the Vedamo homepage. On the next page, select Virtual Classroom – Sing up to create your free virtual classroom account. You will need to fill in all the fields in order to proceed with the process. Please familiarize yourself with our general Terms and Conditions by clicking on the blue link. Once done, you may proceed by clicking on the SIGN UP button. 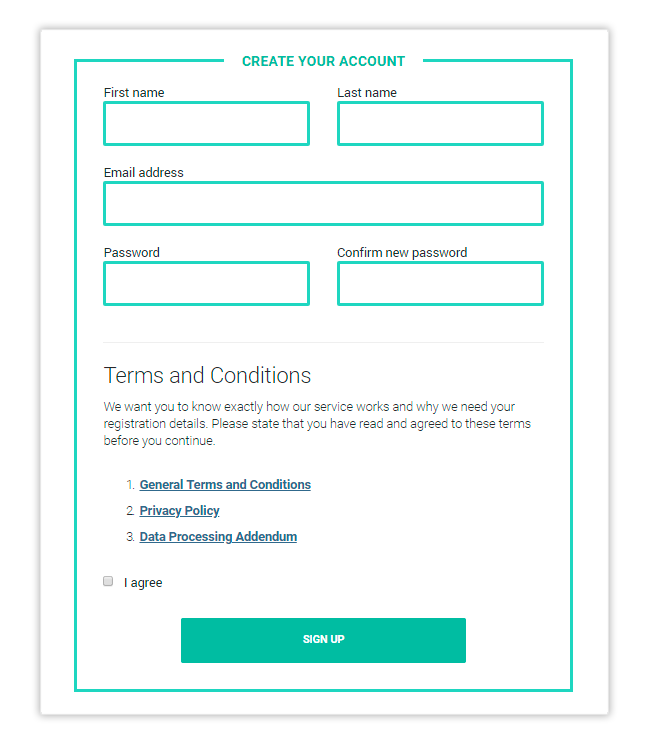 Check the email address you added to your account once you register. 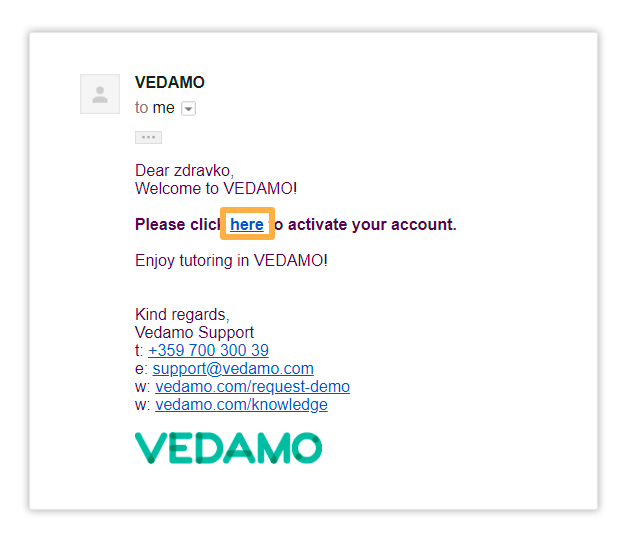 You should receive an email titled New Registration at Vedamo, containing an activation link. In order for your account to become fully functional, you will need to follow the link. The email should arrive within 5 minutes of registration. In case it doesn’t, please contact Customer Support. Clicking on the link will redirect you to your newly created account’s dashboard. You can now create a virtual classroom. To see how you can do that, click on the next article below.